In 2011, Ransom Center Digital Archivist Gabriela Redwine, with Assistant Director Megan Barnard, invited an international team of colleagues to engage in a series of conversations about how born-digital materials are acquired and transferred to archival repositories. Ten archivists and curators from the Beinecke Library at Yale University; the Bodleian Library at the University of Oxford; the British Library; the Manuscript, Archives, and Rare Book Library at Emory University (MARBL); and the Rubenstein Library at Duke University joined with the Ransom Center to create the report Born Digital: Guidance for Donors, Dealers, and Archival Repositories, which offers recommendations to help ensure the physical and intellectual well being of digital media and files during different stages of the acquisition process. A draft of Born Digital has been published with MediaCommons Press, an online publisher that allows readers to offer feedback via an easy-to-use commenting interface. 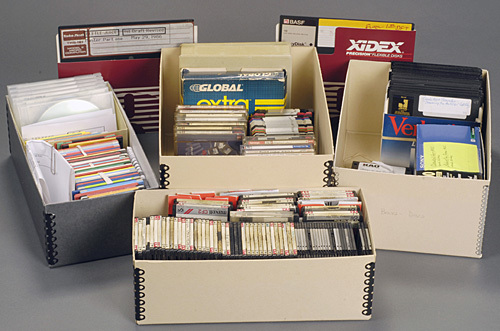 The authors of the report encourage manuscript dealers, writers, special collections professionals, and other custodians of archival materials to read the report, offer feedback and suggestions, and take part in a discussion with the larger community of individuals concerned about the acquisition and preservation of born-digital materials. The authors will closely review comments posted by readers and carefully consider this feedback when they revise Born Digital for final publication in the coming months. The main body of the report surveys the primary issues and concerns related to born-digital acquisitions and is intended for a broad audience with varying levels of interest and expertise in the subject. Appendices provide information about how to prepare for the unexpected and possible staffing costs to repositories, as well as ready-to-use checklists that incorporate recommendations from throughout the report. These recommendations are not meant to be universal and do not necessarily reflect the official policies of the authors’ institutions. 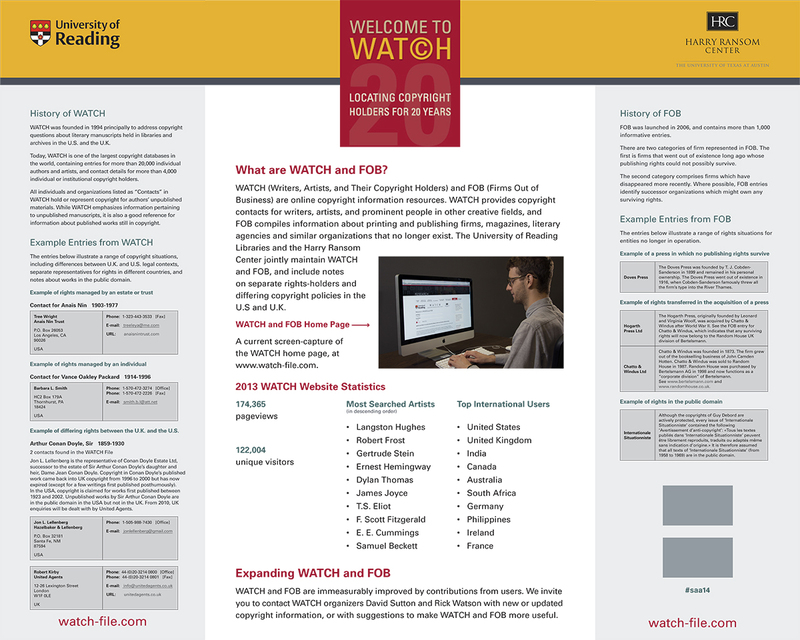 Rather, they offer broad, useful guidance for donors, dealers, and repository staff involved in the acquisition and transfer of born-digital materials. 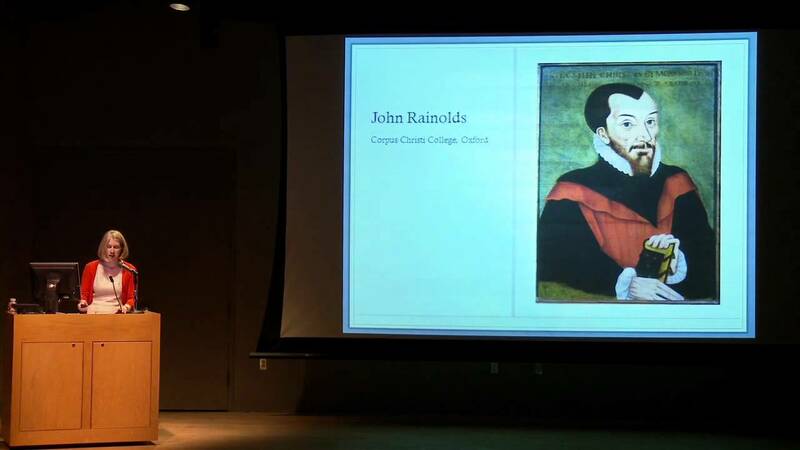 Helen Moore, a fellow and Tutor in English at Corpus Christi College, University of Oxford, speaks Thursday night at the Ransom Center about the history of the King James Bible translation. The program will be webcast live at 7 p.m. CST. Moore’s interdisciplinary research has been founded on bringing neglected texts back to academic attention. She was lead curator of Manifold Greatness: Oxford and the Making of the King James Bible, the exhibition held at the Bodleian Library at the University of Oxford in 2011 in celebration of the 400th anniversary of the translation of the King James Bible. Moore and Julian Reid co-edited Manifold Greatness: The Making of the King James Bible, the book that accompanied its associated exhibition at the Folger Shakespeare Library and now at the Ransom Center. In this video, Moore and other scholars discuss the challenging task that the translators of the King James Version faced. This event is co-sponsored by Corpus Christi College, University of Oxford and The Wall Street Journal. 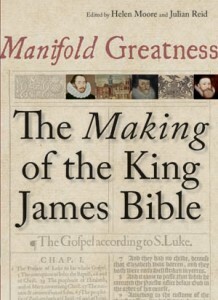 “Manifold Greatness: The Making of the King James Bible,” co-edited by Helen Moore and Julian Reid.